Aged Teeling Whiskey oak kegs are smoked within hours of being emptied. This process ensures they retain their rich whiskey and oak aroma, which is then subtlety infused into Oriel Irish Mineral Sea Salt. 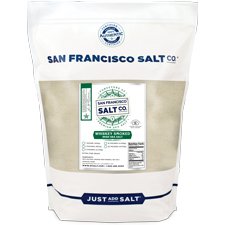 Oriel salt is renowned for being rich in trace minerals and embodying a powerful taste that allows chefs to use less salt with the same kick. Once smoked, it delivers a powerful and smoky delicious flavor. 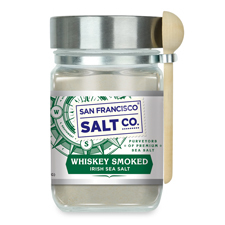 A NEW KITCHEN ESSENTIAL - Our Whiskey Irish Salt combines three incredibly smooth and powerful flavors: Irish Whiskey, Smoked Oak, and Irish Sea Salt. 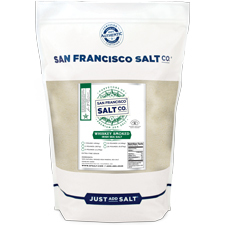 This unique smoky salt is a must have for amateur chef’s and seasoned smokers alike! DESCRIPTION - Kiln dried Irish Sea Salt smoked above aged oak whiskey barrels. 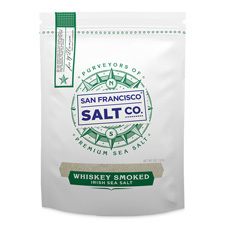 PROPERTIES - Our Whiskey Irish Smoked Sea Salt is Kosher Certified, Non-GMO, and does not contain any MSG, Soy, Gluten, Dairy, or anti-caking agents. We package in our U.S.A., GMP certified packaging facility that is 3rd party audited, by SCS Global. Crafted in the USA. INGREDIENTS - Smoked Oriel Irish Sea Salt.